Updated 12/6/2012: See this article on QuickBooks and PDF drivers for the LATEST NEWS on how to fix PDF problems. I’ve talked about the PDF driver problem on 64 bit systems in an earlier article. 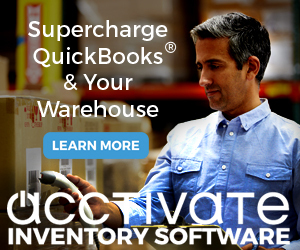 Please note that this is a release to fix the problem in QuickBooks 2009 only. According to my sources at Intuit a fix is still being worked on for QuickBooks 2010, and I’m hoping that it can be available soon. I’ve installed this update on my 64 bit system and I can reconcile bank accounts properly (this uses the PDF driver to save the reconciliation report without problems. Please note, however, that I had already installed the patch described in my earlier article, and I could already work with PDF files, so this isn’t the greatest test. In my earlier article on the 2009 R10 release and sales tax I discussed how the Sales Tax Revenue Summary report would not display properly for some company files. This release should fix the sales tax report problems once and for all. The preference to recall hour field on paychecks is available again. Historical pay stubs are now set to the View My Paycheck “Select Pay Stubs” window. For Assisted Payroll: The current year SUIT rate for some states can now be edited when the change meets the criteria of the States upper and lower limits. A minor change, Company Snapshot now displays for the “…to Date” preset date ranges. Always the important question when a new update is out. Please note that I’ve only been running these updates for a very short time (just got them today), so I can’t yet determine if any new bugs have been introduced. Usually, by the time we get this far into the product, that isn’t an issue. My thanks to Sudhir Navalapakam at Intuit for his support with this issue. I am also am glad to report the R11 patch fixed the PDF, email & reconcile problem with my Quickbooks Pro 2009, running on a Windows 7 Home Premium, 64 bit laptop. I tried various fixes, workarounds, options etc… to no avail. This one worked. Thank you Charlie, I’ve got your site as a favorite bookmark, thanks also to Sudhir & the Quickbooks team for the fix, now back to work for me. I am looking for help with job costing. I am not looking for someone to explain the process to me in depth; instead I’m looking for some good material to reference that will help guide me through the setup process with my business. I am running Premier 2010 for MFG. I own a small manufacturing company that specializes in retail store fixtures. 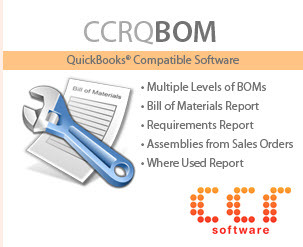 Nearly everything we do is custom so taking the traditional inventory, BOM, assemblies approach does not seem at all practical in terms of maintenance time and accuracy. That said, I feel I can dial in my job level costs by getting more creative with how I use and structure service, payroll and non-inventory items. Any help and/or guidance is extraordinarily appreciated. Charlie, when will the fix/upate come out for the pdf/printer fix for 2010 premier quickbooks with 64 bit windows 7. Faye, your guess is as good as mine. I know that they are working on it, and the person I talk to says “soon”, but who knows what that will mean? I’m not sure that the problem in QB 2010 has exactly the same solution as they had in QB 2009, as the two products did react differently. Also, as QB 2010 is a newer product, they may have more issues that they are trying to fix at the same time (and that is PURELY speculative on my part). Sorry to have to report that the R11 update did not work for us. We still have the same PDF printing/emailing problems as before. Even after re-booting all PCs, etc., we have several error messages including printer error, database not available, and someone may have closed the program. Our system is QB2009 R11 Premier Contractor running on Windows 7 64 bit Home Premium in a multi-user environment. All XP machines on the network work fine, but the Win 7 PC has consistent i.e. repeatable errors, when attempting to email PDFs from within QB. Thanks in advance to anyone with suggestions that we might try. Tim, I’d say you have other kinds of issues going on in that system if you are getting database errors and other things. Hard to say what is going on, other than falling back on the “QuickBooks 2009 is not officially supported on Windows 7” bromide. But you should be able to get it to work. Since you have Home Premium you can’t use the XP Mode feature to try to get around that. You’ve got some other functional problem in that system (hard to say what without having hands on the system). Well, the NUL thing didn’t stick for me. It would let me email sometimes, but not every time, so I did the R11 update and now I can’t do squat. If I try to print invoices to pdf it doesn’t even see the pdf printer, and if I try to email, QB goes non-responsive. I tried reversing the dll file from the previous fix, but it didn’t work either. I am just beside myself about this. I have spent so much time messing with this problem, I am behind on my billing and my work. Please, if someone has another idea, I will try anything. Virna, I’m thinking that you have some other problem in your system because the “NUL thing” should “stick”. But I don’t have a good answer for you as I don’t have my hands on your system. The only other things I can suggest are trying to go back to an older revision of QuickBooks 2009 (that is a bit complicated to do, and probably not practical) or to try running QB 2009 in Windows XP Mode, which you can only do if you have Windows 7 Professional or Ultimate, and hardware that supports that. oh, and I’m using QB ES 2009 R11 (now) and QB Pro/Prem 2009 R11 (now) on Windows 7 64bit. Bummer, because I don’t have Win7 Pro or Ultimate. I can’t imagine what could be going on, since the computer is less than 2 months old and the only thing I’ve put on it is QB ES 09 and QB Pro/Prem 09, Office 2007, and a couple of little games (from cd, not dl). Many thanks to Charlie for keeping us up to date on this pdf printer problem. I am running QB 09 on Win7 Pro 64 bit and was having some problems with creating PDFs similar to some of the problems outlined. My problems mainly manifested themselves when trying to email invoices/receipts using Outlook. I did try a few of the fixes suggested earlier, but with no success. When R11 was automatically suggested to me by QB a couple of days ago I was excited to read that there was a PDF fix included. remove any remaining QB printer drivers. reboot to a clean state in case there was any history of the old stuff in memory. install QB 09 from CD. without starting QB, an immediate manual update to R11 running the updater as admin (right-click option). I now have QB 09 operating as expected with some limited testing and I am again able to email pdf receipts/invoices with Outlook! Robyn, I don’t have an answer for you. I’ve not seen that problem and I don’t have any direct support clients that are running into that either. I downloaded R5 to QB Pro 2010 on 2-22-10 and it resolved the problem. However, the problem is back again on 3-2-10. What next? Kim, R5 wouldn’t have resolved the problem, that is the version where the PDF problem started. There are a lot of suggestions here both in the article and the followup comments that you can try. I will never do another update!! I didn’t even have a problem with the PDF before! I have QB 2009 on XP Professional on the laptop and also the desktop. Worked fine on the laptop – the desktop is so screwed up – I spent 6 1/2 HOURS on the phone with tech support. After 3 hours, I had to pay $79 for a month of support “until they fix the problem” well it is still not fixed. Messed up everything – not just QB – my tech guy is working on it now to fix things. I want my $79 back since they uninstalled half a dozen times and reverted back to the old version (R10, I assume). So, I got nothing for my $$ and it cost me $79 + $95 so far for my tech guy. Do you think they will reimburse me for that. I think they should send me the 2010 for free. I am really upset! You helped me out last year when this 64 bit problem first happened to me. I have a different problem now. Since installing a wireless printer, I am now having problems e-mailing forms on a 32-bit computer running Vista. I am able to print just fine but computer locks up and closes quickbooks pro 2009 as soon as e-mail is sent (the e-mail does actually get sent first) and the PDF estimate is able to be viewed by recipient, but am getting tired of restarting QB after every e-mail. Could this really have to do with the new printer installation somehow? BTW, I have never upgraded in the last year or more since I heard it would probably undo your fix on the 64 bit system we have. Again, this is a 32 bit system I am having problems with. Thanks again. R11 did not fix our PDF printing problem but I managed to get it working anyways including getting passed the Visual C++ error. Hopefully my comments can help some other people. 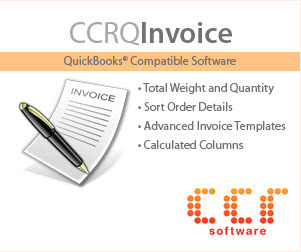 We are using QB Ent 2009, R11 update did not fix our PDF printing issue. System is a Server 2008 (not R2, Vista comparable) x64 terminal server. I snagged the updated qbwpr32.DLL file from one of your previous links: http://support.quickbooks.intuit.com/support/pages/knowledgebasearticle/898690 (it is only listed for QB 2010, they assume the latest patch cures all in 2009 apparently) and stuck it into my QB program folder, followed instructions through reboot, and I got the Microsoft Visual C++ Runtime Library error you mentioned people hitting previously. Having seen this error (look in the server event logs – SideBySide error) I immediately rushed out and grabbed Microsoft Visual C++ 2008 SP1 Redistributable Package (x64) (thinking for my x64 system) and it still failed, but then I read the error log more carefully and found it was looking for the x86 version of the C++ stuff (probably because QB is x86) so then I grabbed Microsoft Visual C++ 2008 SP1 Redistributable Package (x86) and QB loaded correctly. I still had problems with saving to PDF, investigated the ‘new’ QB PDF printer and it was on LPT1 – moved to NUL: and it worked just fine after clearing out the failed prior print to PDF attempt (delete job, end splwow64, reboot spooler, etc). Now all my Save to PDF and emailing as PDF works properly – yay! Only problem I have now is that QB throws an application crash error every time I exit, but other than being annoying it doesn’t seem to be affecting anything. In this case I think everyone’s just more happy to be able to email PDFs again. R11 did indeed fix my printing issue. I just installed it about an hour ago and have successfully emailed a few test invoices, printed a few invoices and reports, etc. That said, I’m going to wait until a week or two of “normal use” before breathing a sigh of relief! Thank you Charlie for this blog post, by which I discovered this fix. I would not have discovered it otherwise b/c this was such a dealbreaker for me that I had moved my QB files/install from my Vista 64 bit machine to a separate 32-bit machine running XP that I used soley for QuickBooks. I had to have a separate computer just for QB! Since I was using that, I didn’t have the issue and even though that separate computer upgraded to R11 I had no way of realizing this would fix the problem on the 64-bit computer since I had given up on that. For others’ reference, I am running Vista Business SP2 and QuickBooks Pro 2009 on a 64-bit machine, and its now working after the R11 upgrade. It had been so long though that I had to do a couple of prior upgrades first just to get to R11. I downloaded 2010 qb webpatch for my premier. Premier was very slow but I had no problems emailing invoices. Since the download, I cannot email invoices? Any ideas? Laurie, you don’t give us much to go on – do you get an error message, or what? I was running QB 2009 R11 on Windows 7 64 bit and was not able to print at all to my printer from QB. I was getting the same error message- print driver host for 32 bit applications stopped working. I researched online and tried all of the fixes I could find but none worked. Finally after much time and frustration, I uninstalled QB and did not install the R11 update. I had to open a old QB company file since my recent file had already been updated to R11. I can print anything out of QB now (R7). Only problem is, I now have to go back and find the most recent QB company file in R7 and re-enter my data to bring my books up to date. What a pain! There is a lot of variation in 64 bit systems. I found that a lot of problems went away when I looked at all my other system drivers and made sure everything was upgraded to a 64 bit version when possible. Hast the QB PDF Converter printer issue been fixed for QB 2009 operating on new 64 PC running xp pro?